If only the Visvim crew read my blog. They would be so ecstatic that LAM featured their gorgeous shoe that they would find it necessary to overnight a pair to me as a token of their gratitude....reality kicks in and I am left eyeing the intangible FBT Classic. 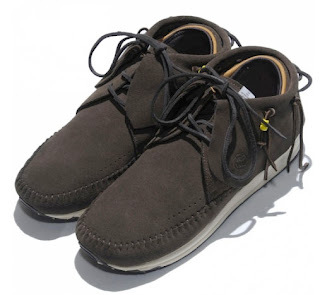 The moccasin-esqe detailed shoe highlights the Visvim Fall/Winter 2009 collection. The shoe is being served up in three colorways - brown, black and beige. 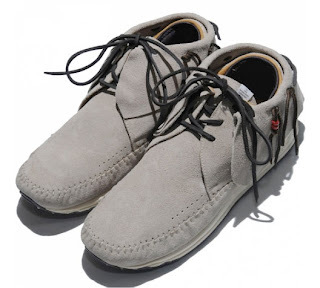 The shoe features suede uppers and bead detail on leather laces. The shoes will hit select retailers over the next week or so. Good luck finding these in North America.